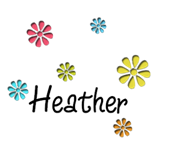 The end of the year is already HERE and it is time to do a little blog hopping!! 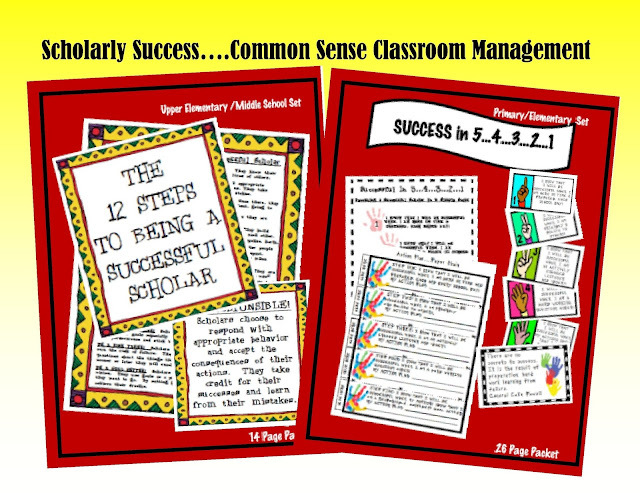 This packet includes fun, engaging activities to keep your students motivated and learning at the end of the year. 2) Super Cute End of the Year Bulletin Board! All you need to do is print out the pages have students color them and write about their experiences this past year. It's a great way to assess how their writing has progressed from their first day of class to now. 3) DRAGONFLY CRAFTIVITY…: Enjoy this craft idea during your insect unit or just for fun at the end of the year! 4) "Live & Learn" Life Lessons Class Activityfor Anytime or at the End of the Year - Common Core Aligned! 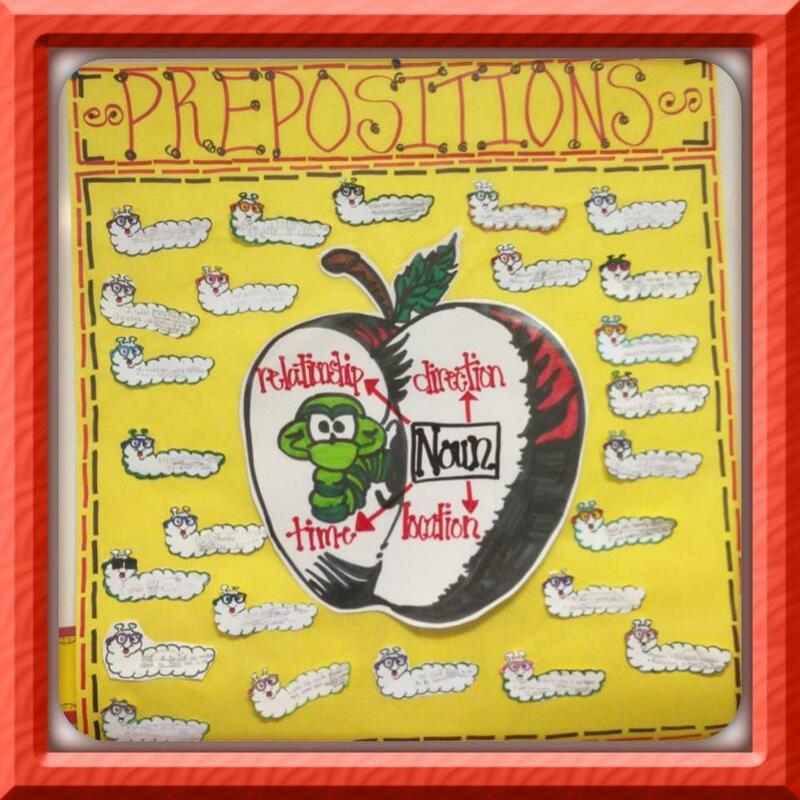 This is an inspirational, fun, and rewarding activity to share with your students! 5) WHEN I GROW UP…This is a basic item that I love to use both the first and last week of the school year. 6) End of the Year Wordle Student Gift Guide: A free guide to create meaningful, budget-friendly gifts for your students at the end of the year. Have each student (and yourself!) write one positive attribute for every student in the class. Then use those words to create a Wordle for every child. Print them out and put them in inexpensive dollar-store frames. Perfect! 7) End of the Year Goal Contract: Help motivate positive behavior and good choices in your classroom with this cute poster full of ways to help your students have an amazing end to their school year. This freebie includes mini "What's the Scoop in ____ Grade?" posters (kindergarten to sixth grade) and eight "end of the year" prompts written on scoops of ice cream. A great writing activity for the end of the year is to have students create picture books starring themselves and the people who have helped them along the way. This project is sure to be a cherished item! Make sure your students remember the fantastic year they had in your classroom with this fun and creative memory book. This is a fun activity to get your students thinking about and discussing memories they made throughout the year. cube to talk with parents and peers about their experiences. End of Year Postcard! This fun assignment is great for any grade level and any subject area. 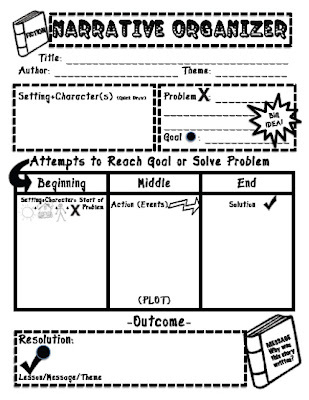 This easy to store Yearly Goals Capsule enables students to determine their own goals for the school year. They can then return to them at the end of the year to determine their progress. 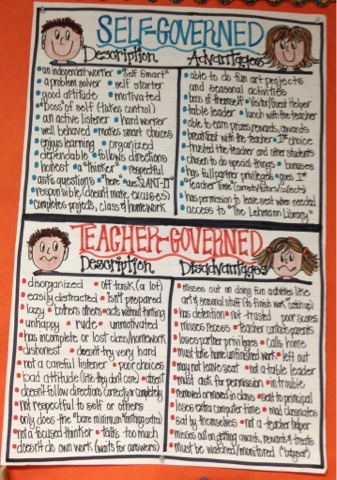 This printable poster is a quick way for your kiddos to summarize the 2012-2013 school year. This is a fun way for students to reflect on the year. Students can fill this out, and take it home to remember all the fun things that happened. I was asked to review an informational graphic about technology, by Allison Morris. This graphic focuses on the important role that technology is playing for today’s teachers and how it’s changing our classrooms. This graphic clearly displays how vital the implementation of technology has become, while at the same time, implying the huge underlying role that educator’s play, (regarding both academics and social etiquette). How has technology affected my teaching style? How? How has technology affected my management style? How? Has the use of technology become a "norm" in my daily lessons? How/Why? How has technology changed my planning and pacing? How/Why? What social etiquette standards regarding technology am I expecting my students to follow? What are the most important technology based skills that my students need to master and how can I make this happen? Is there a more efficient way to accomplish what is required, using technology? How? What is the best way to differentiate instruction using technology? How? Project based learning…..How can technology support & incorporate multiple content areas to accurately display what students have learned? Whether we are ready to or not….It is time to truly embrace technology! 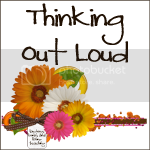 Personal Think Time...Making it Real! Do your students sometimes seem to have a difficult time thinking on their own? Mine sure do! They want the answers "spoon fed" to them. 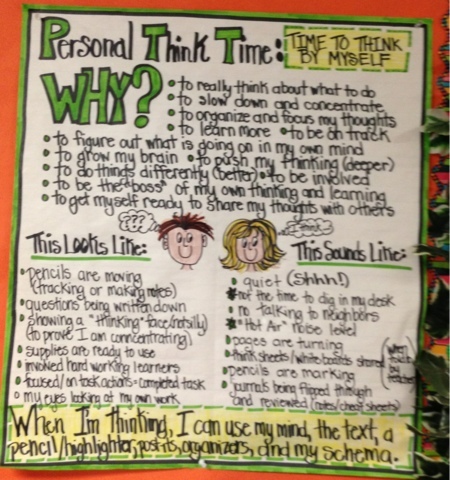 Well, in order to prepare my students to become actively involved in their own learning, we have started focusing on "Personal Think Time". 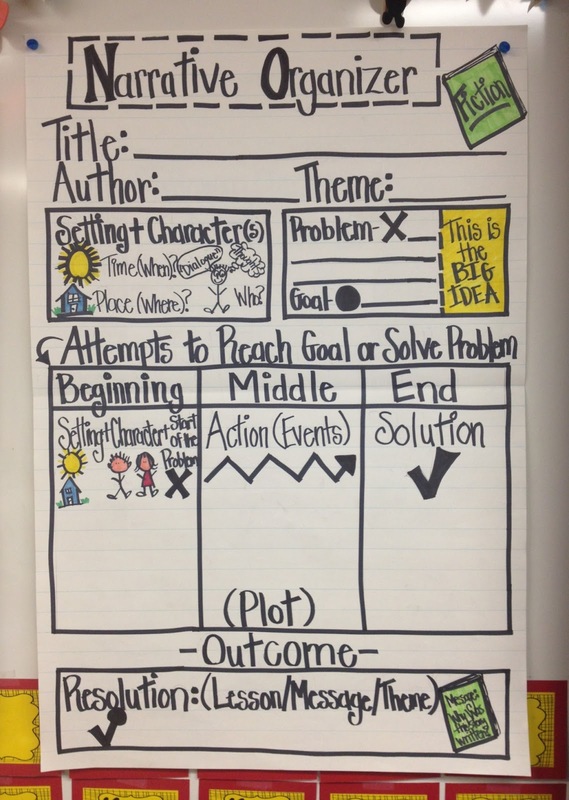 We brainstormed our ideas as a class and charted them out together. Doing this, has given the students some real reasons for thinking on their own and allowed them to be ready to participate. At the beginning of the year, I start off with some basic behavior guidelines (Success in 5...4...3...2...1). I'm not big on complicated systems that eat up valuable classroom time. Once the students have an understanding of our classroom expectations we work together to chart them out (using the student's own words and ideas). This process serves as a reminder to the students and a heads up to new kiddos about how our classroom works. Built in accountability without a lot of tracking and hassle! 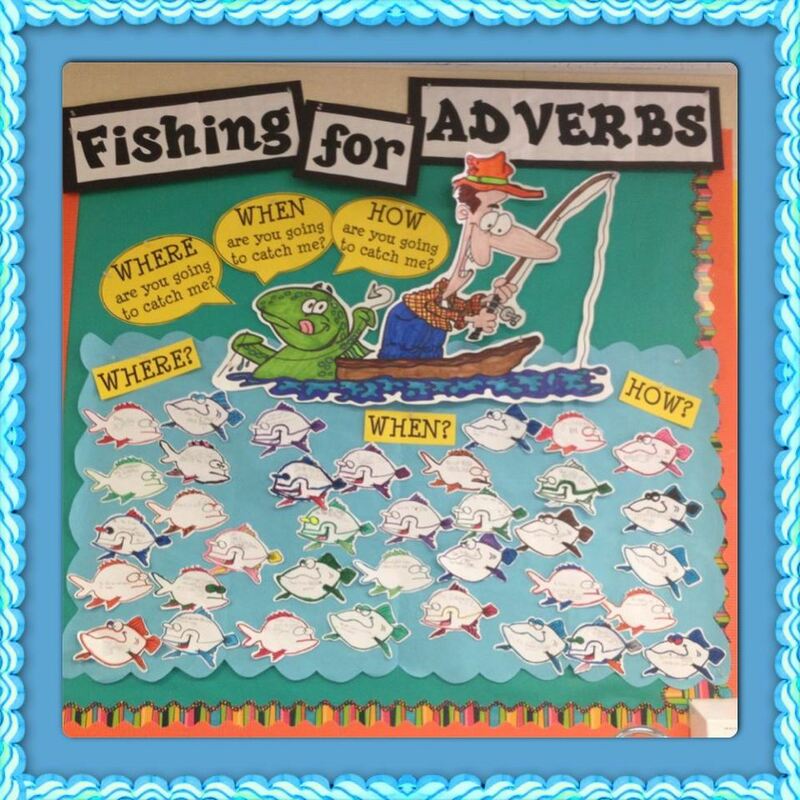 We have had some fun this week, while learning about adverbs and prepositions. The practice pages and worksheets, just weren't cutting it. So, I decided to take a different approach. 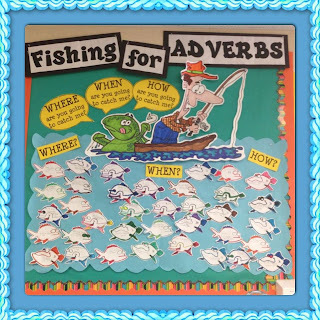 The students worked in pairs and created complete sentences using adverbs (where/when/how). I asked them to get "into it" and "be the fish/fisherman"....they loved this idea! They had to be very careful to make sure that their adverbs, didn't turn into prepositions (due to where they placed their nouns). I was excited to see that...they were getting it!! I listened to their conversations (some of which became a little heated...lol) and found that they really were carefully constructing sentences, engaged and also having fun! 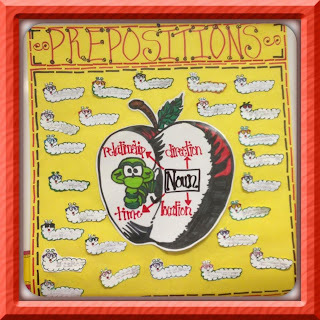 I had introduced prepositions first....they caught on as I discussed the concept of how the preposition relates the worm to the apple (the nouns). The worm is ______ the apple. BUT, it is time to get back into the groove! 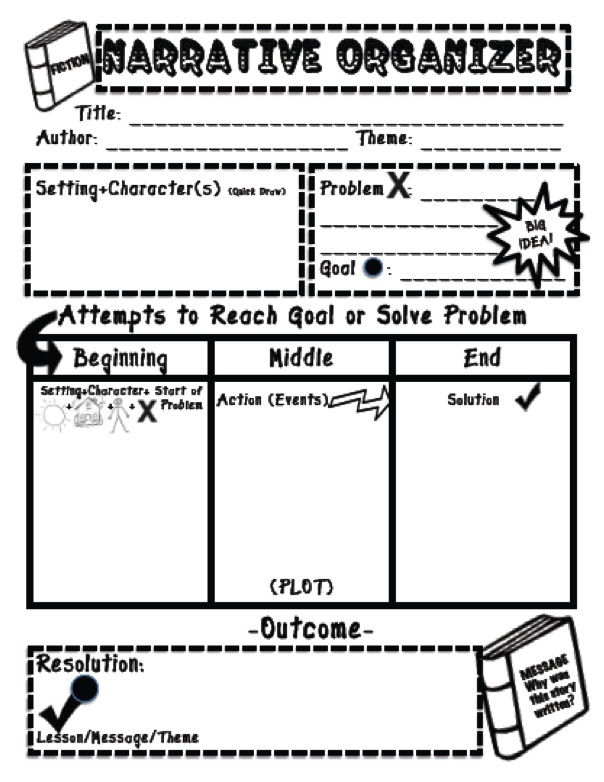 To get things going, here's a chart and freebie that my 4th graders are using to kick off our study of narrative text! 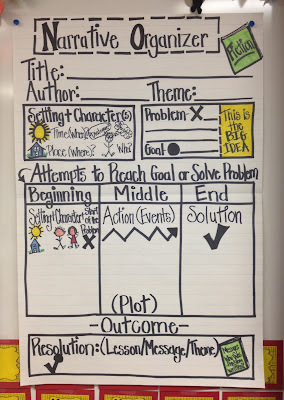 I will be posting a new Author’s Purpose anchor chart and the supporting student foldable pages, within the next week or so, so check back! We all love simple things that make classroom life easier, so I thought I would share two of my featured TPT products, that have really made my life easier. 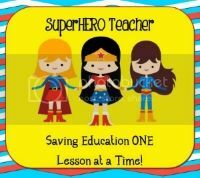 1) Comment on why you would like to receive this item (specify primary or upper elementary) and leave your email address, so that I can get you your freebie. 2) Share this item on Pinterest. 3) Share this item on Facebook. Hmmmm…… Who knows, once I've given away my first 5, if your comments are persuasive enough, I might be tempted to DOUBLE the amount of free sets I send out to 10.